Thanks for sharing this lovely assembly of sound and knowledge! It will be a pleasure to return here to listen and contemplate deeply. I agree that notation seems nearly useless, but for my western mind it is helpful or at least reassuring to see the “recipe” expressed in writing…one day I hope to not need this sort of training wheels. So thanks again for your effort. I’ve been away for a while, so have fallen behind in updating the site. Having to write the notation forces me to think through what I play – which is good for me I guess. However, it’s hard work sometimes, especially with complex compositions. I’ll upload a few more Kirwani compositions with notations soon. I have been looking for Ustad Amjad Ali Khan’s Kirvani for a long time now. In the compact cassette days I owned a recording I had brought from London, later in the process of decadence of that playing system I lost it. It is the happiest note to find it with you. Very well explained without any frills; the composition with the Violinist Mr. Murari was excellent. 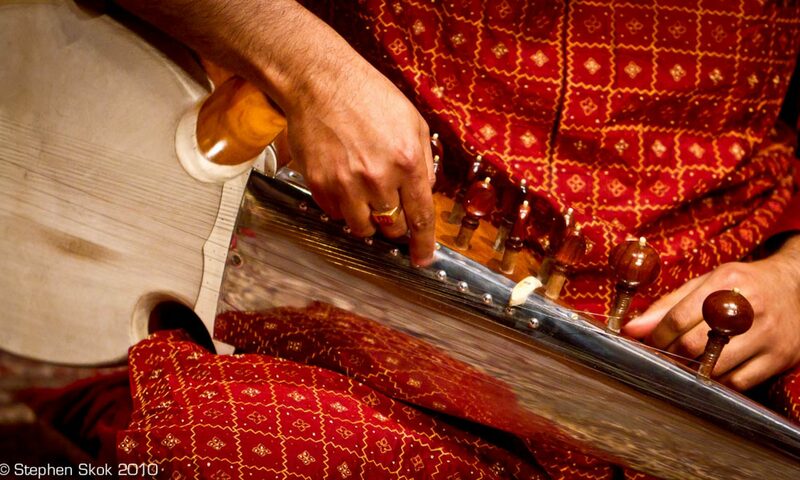 I am a student of sarod.. Your tune of kirwani helped me in understanding the raga better. I extend my regards to you for helping the students . Hope you will continue your effort for us. Thank you Rahul.